Prayer Shawl Ministries: Knitting Activists Needed! 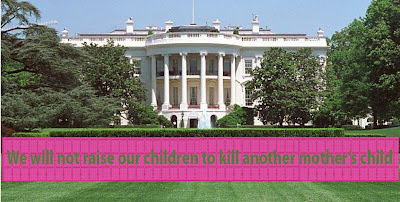 Help spread the word - Code Pink is seeking donation of pink or green 4" X 4" squares for a giant quilt as part of their demonstration for peace in the Middle East at the White House on Mother's Day. For more information see their website.